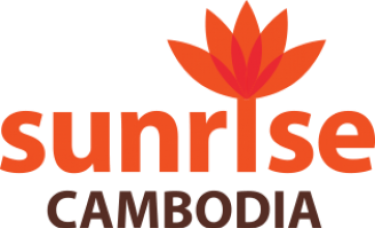 Sunrise Cambodia is a world-class charity working on the ground in Cambodia to give much-needed help to at-risk kids, struggling families and poor communities in some of the most poverty-stricken provinces of the country. Sunrise began as an orphanage in Phnom Penh in the early nineties. Founder Geraldine Cox took in a small group of abandoned children found trying to survive in the jungle near the border of Thailand. Over the years, Geraldine has been Mum to more than a thousand kids who have escaped abject poverty and abuse to grow up in full time residential care at Sunrise Cambodia with good food, a place to sleep, school and lots of love and kindness. Sunrise kids have gone on to finish school, earn degrees and have their own families. But the need in Cambodia is still so great with more than 80% of the population living on less than $2 a day and so many kids at risk. Today, Sunrise have moved away from the orphanage model in favour of community development and support for families as a whole.